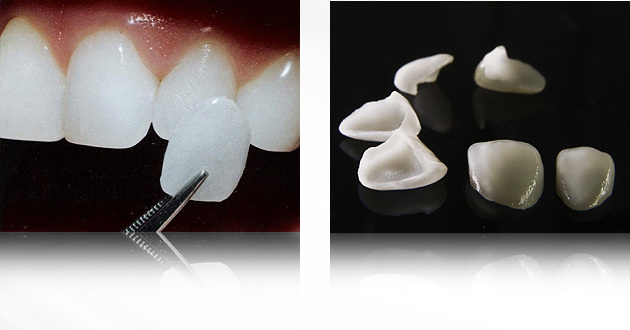 We can boldly say that porcelain veneers are our major product. We are making them since many years. Veneers are ultra-thin porcelain "shells" made by firing layers of porcelain, sometimes "Da Vinci", sometimes "Luminers" style, from 0,4mm and above, depending on what aesthetic effect do we want to achieve. Preparation for veneer is usually not very invasive. Thanks to them we close diastema, change shape and colour of teeth and make teeth line. They can also be used on side parts.